Sports-related injuries are not limited to competitive athletes, but also include sports enthusiasts, “weekend warriors,” and anyone who is physically active. Because everyone can be susceptible to orthopaedic injuries and pain, we are committed to providing the best orthopaedic care to every athlete, whether part-time, beginner, student or pro. 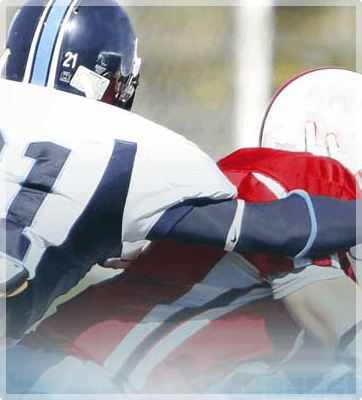 With physicians on staff who have cared for a variety of professional sports teams, we offer years of expertise in the care of these unique injuries and cutting-edge treatments to help preserve function and get you back to your game as quickly as possible. With one of the largest and most advanced orthopaedic practices in the Miami area, we offer certified athletic trainers and licensed physical therapists on-site in our clinic, who focus on preventing injuries, restoring physical function and returning you to sports-related activities with optimal function. The Miami Institute for Joint Replacement offers a comprehensive continuum of care, from evaluation and diagnosis, to non-surgical and surgical treatment options, physical therapy, and patient education. Contact us today to schedule an appointment at our Kendall or Coral Gables office. We can be reached at (305) 595-1317 or you can request an appointment online.